Coloreel continues to grow and now strengthens the company with recruitment from the international company ABB. 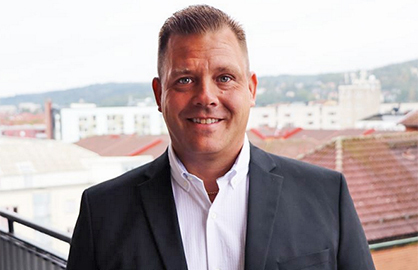 New in the team is Benny Jonsson who is appointed as Vice President of Supply Chain from August. "It feels amazing! 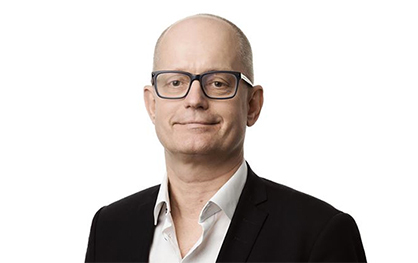 Coloreel is an extremely exciting company with huge potential and it's extra fun to be apart of building the company at such an early stage, says Benny Jonsson", new Vice President of Supply Chain at Coloreel. Benny Jonsson is 44 years old and his latest employer was ABB in Västerås, where he worked as Production Manager. He has a broad background in production and sourcing with extensive international experience. Benny will be responsible for the entire supply chain. "It feels great that Benny has finally started working with us and I know he will contribute from day one to the positive development of the company with his broad experience and expertise", says Mattias Nordin, CEO at Coloreel. The Coloreel technology enables high-quality instant coloring of textile thread while it is in the textile production. The first product to be launched based on this technology is a groundbreaking thread coloring unit that works with any existing industrial embroidery machine. By instantly coloring a white base thread during the embroidery production, Coloreel enables complete freedom to create unique embroideries without any limitations in the use of colors. The product launch of the Coloreel unit will take place at the high-tech fashion fair Avantex in Paris, 17-20th September. At stand Z428, the customers will be able to meet with both Coloreel and the European distributors.